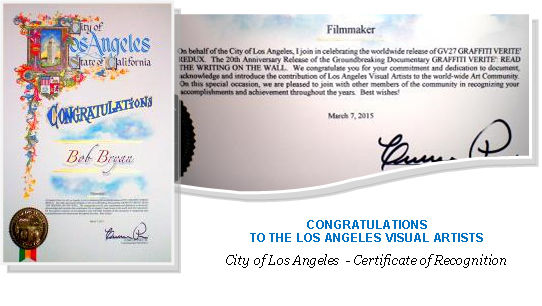 "Your film Graffiti Verite': Read the Writing on the Wall truly inspired me & my peers in showing the artistic and creative side of Graffiti Art." 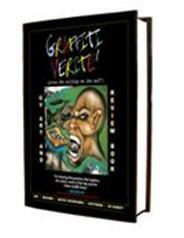 GV27: Graffiti Verite' Redux celebrates and commemorates the 20th Anniversary of the worldwide indie release of Graffiti Verite': Read the Writing on the Wall. With Original never-seen-before interviews, footage and Artwork. GV27 reconnects with the creative energy and zeitgeist of that fertile period in Los Angeles' Urban Art History, when Graffiti was everywhere! 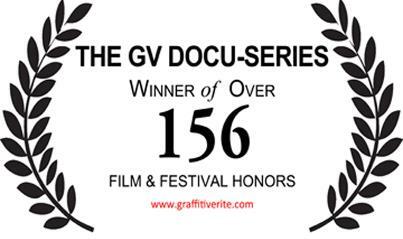 Graffiti Verite'' became a multi Award-Winning cultural tour d' force. A definitive statement that spoke of Graffiti as a legitimate Artistic expression had now arrived on the Art Scene and could no longer be ignored, berated or relegated to the fringes of polite Art society. "An intelligent & insightful documentary series"